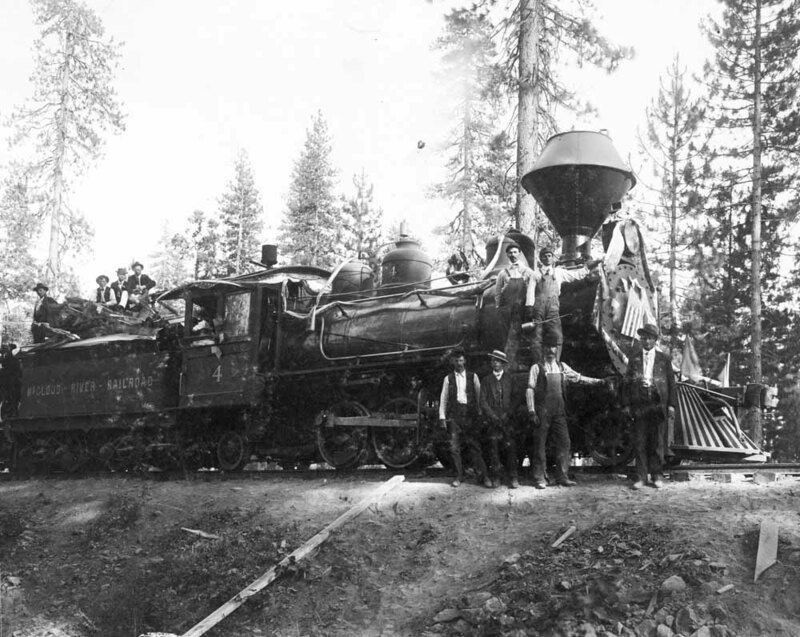 The #4's builders photograph, courtesy of Heritage Junction Museum of McCloud, Inc. The #4 is seen here moving a train of logs through the woods east of McCloud. Photo from the Al & Rose Khulman Collection, courtesy of the Crook County Historical Society, Prineville, Oregon. The #4 with a passenger special. Photo courtesy of Heritage Junction Museum of McCloud, Inc.
After being replaced by larger power by 1925, the #4 spent the next decade in storage until finally being sold for scrap. Accumulated dirt has nearly buried the pilot.